With over 10,000 tree species threatened with extinction, it goes without saying that some of our most loved trees are at risk. Here, GTC reveals six popular trees in danger of extinction – some of these will surprise you. Who would have guessed that the well-loved, garden superstar, the monkey puzzle tree is at risk of extinction? In the wild, they can reach the grand old age of 2000 years but sadly this is not always the case; despite its popularity globally as an ornamental plant the species is classified as Endangered. Native to Chile and Argentina, logging and over-grazing have led to rapid destruction of the monkey puzzle’s habitat. This has resulted in the species surviving in small ‘patches’ of forest. These habitat changes have made wildfires, common to this volcanic region, more intense. In 2014, a national emergency was declared when intense fires burned over 6,000 hectares of forest, threatening the only protected populations of ancient monkey puzzles. 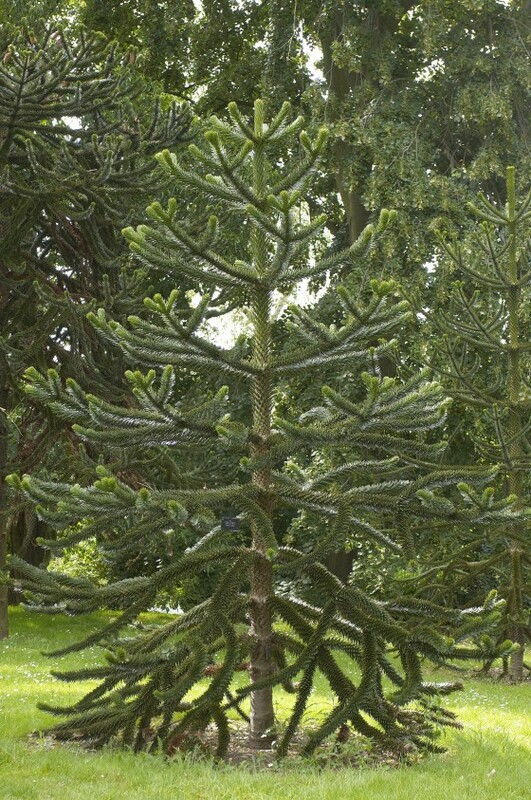 A young monkey puzzle tree (Araucaria araucana) in Kew Gardens, UK. Credit: GTC. 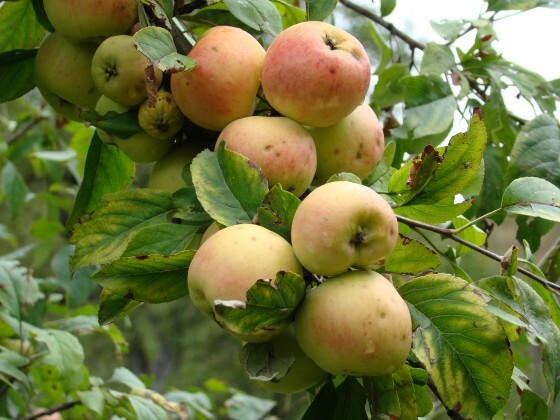 The humble apple, found across Central Asia is the ancestor of the domesticated apple (Malus domestica) and therefore might be described as the ‘original’ apple. However, despite the popularity of its close relative which is consumed by thousands of people every day, the wild apple is classified as Vulnerable on the IUCN Red List. This is because its native habitat has been rapidly changed into agricultural land. In Kazakhstan, for example, the forest has decreased by over 70% in just the last 30 years. In the habitat that remains, it is difficult for young trees to grow at all, due to extensive grazing by livestock so now, there are 30% less Malus sieversii in the wild compared to 30 years ago, and this declining trend has not yet been stopped. Despite being famed as the ‘world’s largest living thing’, the giant redwood (or giant sequoia), is actually in danger of extinction. 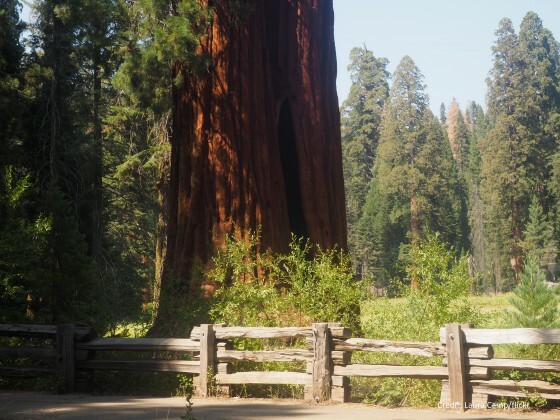 Although old trees are protected well within national parks, they are found only in a very small area of California. In addition to its relatively small range, the species is not adequately regenerating in the wild; this means old trees are dying naturally but are not being replaced by following generations. Therefore, protection within national parks may not enough to save the species and work needs to be done to get regeneration back to a reasonable level. In the meantime, the species continues to decline and is assessed as Endangered by scientists. Due to their beautiful, large flowers, magnolia trees are popular with gardeners. 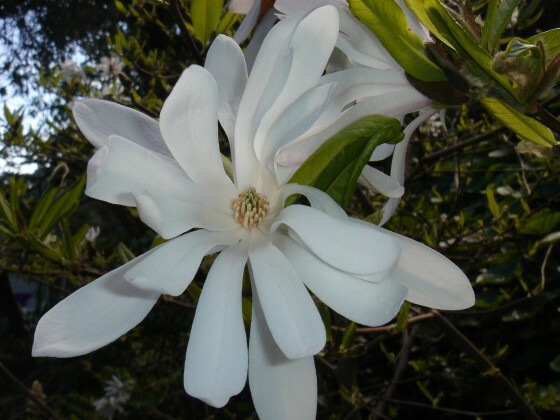 You might not expect a magnolia in your garden to be a threatened species but, like the monkey puzzle tree, the delicate star magnolia (Magnolia stellata) is on the verge of extinction in the wild. Only five populations are known to exist in its native Japan and these groups of trees are far apart from each other, affecting cross-pollination. Habitat loss (one area of forest was turned into a golf course) and collection of seeds for the horticultural trade continue to be the greatest threats to the star magnolia, which has led experts to classify the species as Endangered. The beautiful star magnolia (Magnolia stellata) is popular with gardeners but Endangered in the wild. Every single Brazil nut that is eaten worldwide (including those covered in chocolate), was originally collected from wild trees. However these individual trees are becoming rarer, mainly due to deforestation. Despite its importance, the extinction risk facing this species has not been evaluated since 1998 when it was listed as Vulnerable to extinction. In 1998, the Brazil-nut tree population was declining rapidly due to loss of its forest habitat for agriculture (ranching) and infrastructure (dams and train lines). Furthermore, it is still not known how big an impact harvesting Brazil nuts has on the species. In addition, the main natural disperser of the nuts, the agouti, is hunted as a pest and is now rare in the southern part of the tree’s range. The combination of all of these factors have likely contributed to the Brazil-nut tree’s threatened status. Brazil nut harvester extracting the nuts from a fresh crop in Peru. 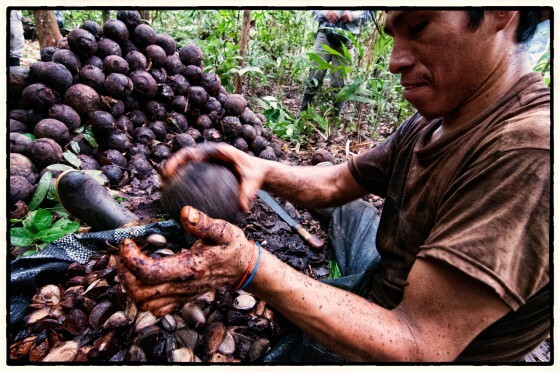 All Brazil nuts are wild harvested in this way. Credit: CIFOR/flickr. In June 2018, a story emerged reporting that the world’s oldest baobabs, found on the African mainland, are dying. While this news provides cause for concern, the African baobab is not currently threatened with extinction, according to the world’s foremost authority. However, three of its Malagasy relatives are considered Endangered species. This includes Grandidier’s baobab, the much-photographed species found at Madagascar’s number one tourist attraction, the ‘avenue of the baobabs’. Grandidier’s baobab is threatened by burning of the forest (a practice used to clear forest to make way for small farming plots) and grazing by livestock of its seedlings. Its fruits are also widely collected by people, which is likely to increase in coming decades as the international demand for baobab products – marketed as both a health food and cosmetic ingredient – increases. 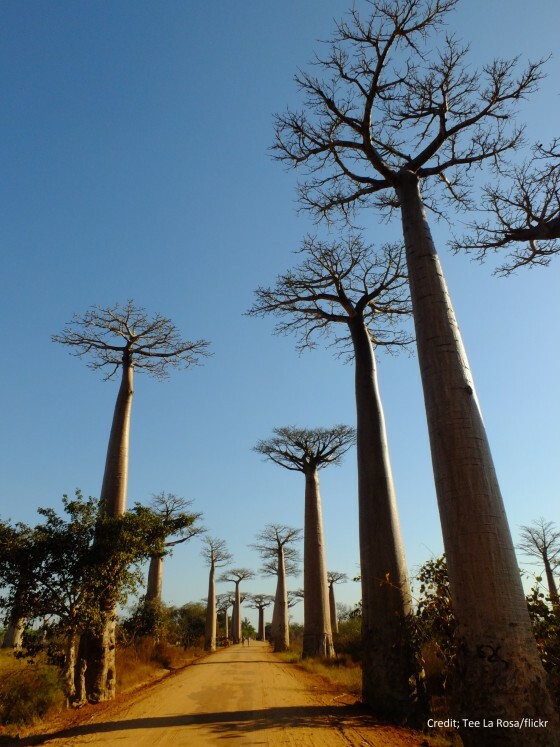 The world famous avenue of the baobabs in Madagascar. Few people are aware the species is threatened with extinction. Credit: Tee La Rosa/flickr. These are just 6 of the 10,000 tree species around the world threatened with extinction and in need of conservation action. Discover more surprisingly threatened species on the threatened trees section of our website, including an apricot ancestor, the world’s tallest palm, and even Christmas trees. We need help to research and conserve the 10,000 threatened trees in need of help – get in touch to see what you can do to support our work. Victoria works as a Programme Officer at Fauna & Flora International. In her role she provides support to the Global Trees Campaign and is responsible for the delivery of several field projects including Central Asia & Madagascar. Magnolias are among the oldest flowering plants. They evolved long before bees and instead relied on beetles to pollinate their flowers.